Mr. Locksmith MN | Your Car Keys SpecialistMr Locksmith MN – Don’t Get Stressed,Call The Best! We never charge extra for late nights, weekends or holidays, and we come to you, so call us now! Our licensed, bonded and insured locksmiths are trained and equipped to help you. When you need help right away your local Spring Lake Park Mr. Locksmith technician will come directly to your vehicle. While speed is our specialty it’s no problem for us to accommodate your schedule by making an appointment at the time most convenient to you. Additionally, you can count on us to provide you with friendly service. 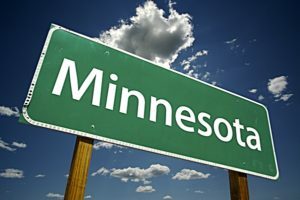 Serving the entire Minneapolis St Paul area for over a decade! Mr. Locksmith is a rapidly growing service provider where we take great pride in the work we do. Our dedication to doing the best work with the best attitude and it shows in every aspect of our business. We strive to make a positive locksmith experience for every customer who calls on us for help by serving their unique needs with precision, professionalism and respect. Completely satisfying our customers is our number one priority. With every job we do comes a guarantee of its quality and durability. If you are in any way concerned about or unhappy with the work we’ve done we encourage you to, please let us know! We will go to any length to make things right and assure your safety and security. That being said, our dedication to excellence on all counts means just about all our customers are happy customers, but we’d love nothing more than to prove it to you. Make the choice of fair prices, friendly service and premium quality work and products from Mr. Locksmith Spring Lake Park MN! High Rated Local Twin Cities Locksmith Company That Specializes in Automotive, Residential and Commercial.